Single-Sign-On, or SSO for short, is available upon request. It enables administrators to regulate access to Azendoo via an Identity Provider such as Okta, Onelogin, or Microsoft Active Directory. 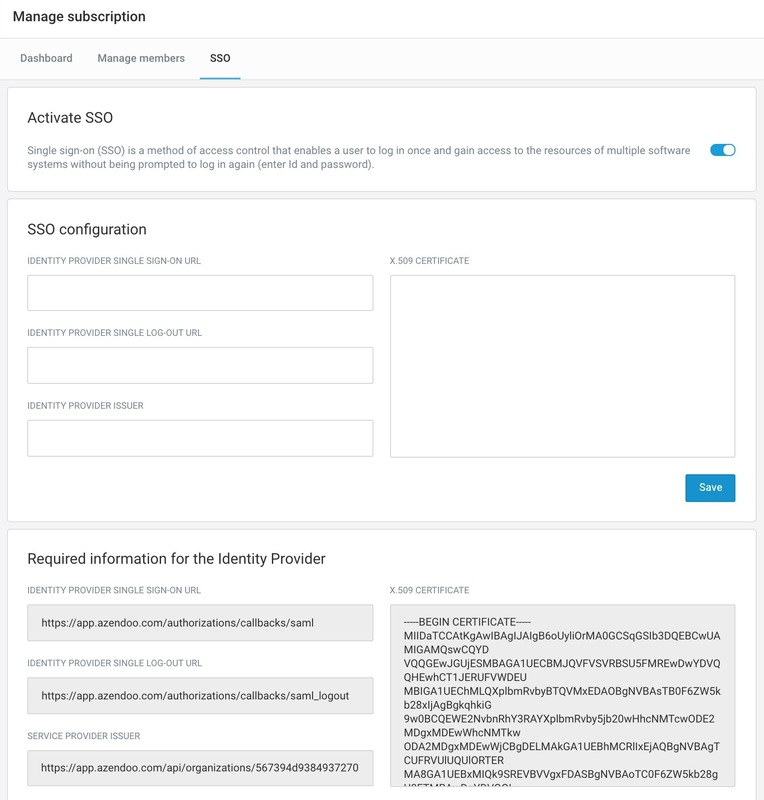 Once SSO is activated, team members will have to log into the Identity Provider in order to access their Azendoo accounts. Only the Azendoo Subscription managers can choose to access via password or IDP. To use Azendoo mobile apps with SSO your team need to use the versions above 3.2.7 for Android and iOS. Team members present on the IDP without an Azendoo account already set-up will have an account created upon first connection. We recommend providing all team members with an invitation link to a single Workspace to facilitate onboarding. To activate SSO or if you have any questions concerning SSO please contact us directly.